I know we’re supposed to be coming out of winter, but the weather seems to think otherwise, and temperatures still seem to be dropping.. Its the time of year for curling up under the covers with a cute mug of your favourite hot drink, and since I am the anomaly that doesn’t really drink tea or coffee, my favourites are all a little different! This is a carton of chocolate dreams! Pre-mixed and ready for the microwave, this creamy delight is just so delicious! 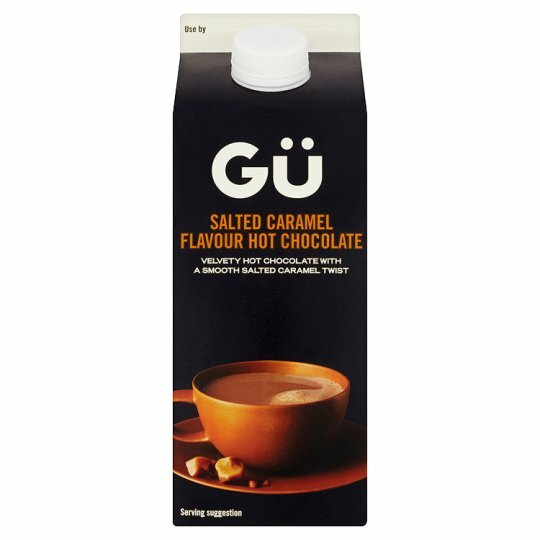 My love of peanut butter is really no secret, so this discovery has opened up a whole new world of hot drink goodness for me! The proof is in the name; there are so many flavours to choose from in both instant and ‘add milk’ varieties, and I love the little sachets for taking to work with me! I’m really not a tea drinker, but this real leaf tea is so sweet and perfect for a nice milky drink before bed! When a regular hot choc won’t hit the spot, I love white hot chocolate! Creamy and delicious! Do you have a go-to winter warmer? 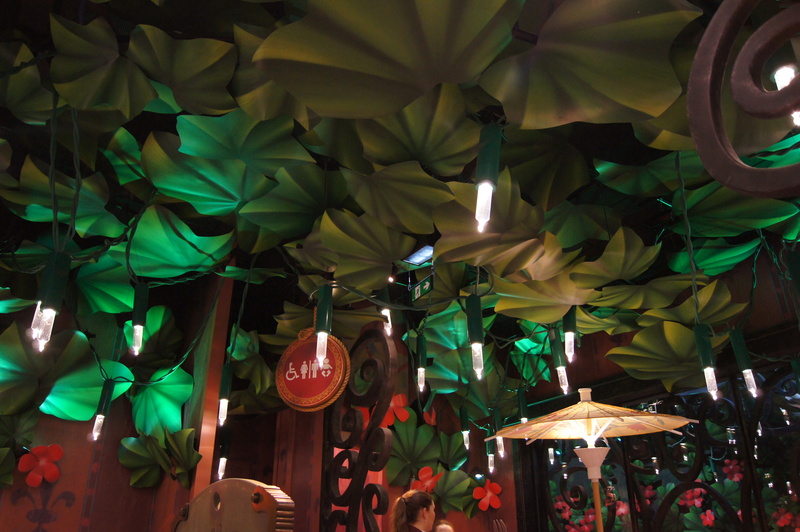 Did you ever see a restaurant in a movie that looked so great you wished you could eat there in real life? 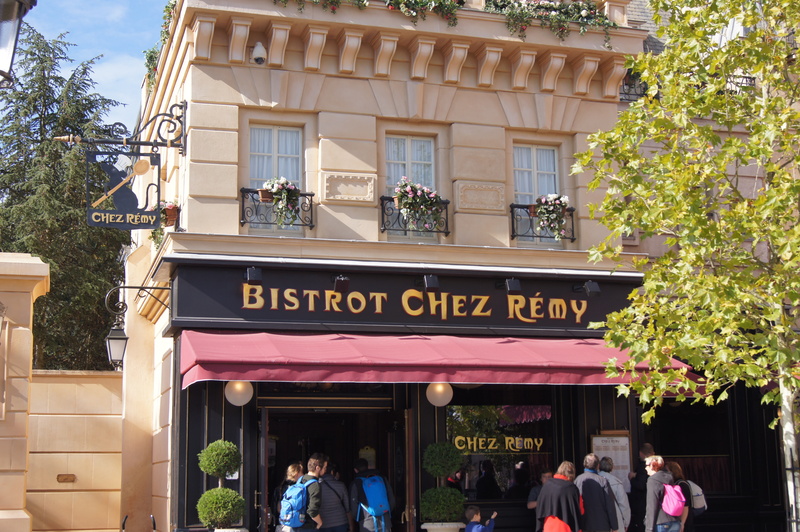 Based on the Pixar classic Ratatouille, Bistrot Chez Remy gives guests in the Walt Disney Studios Park at Disneyland Paris an opportunity to shrink down to the size of a rat, and dine on Remy’s gourmet menu. 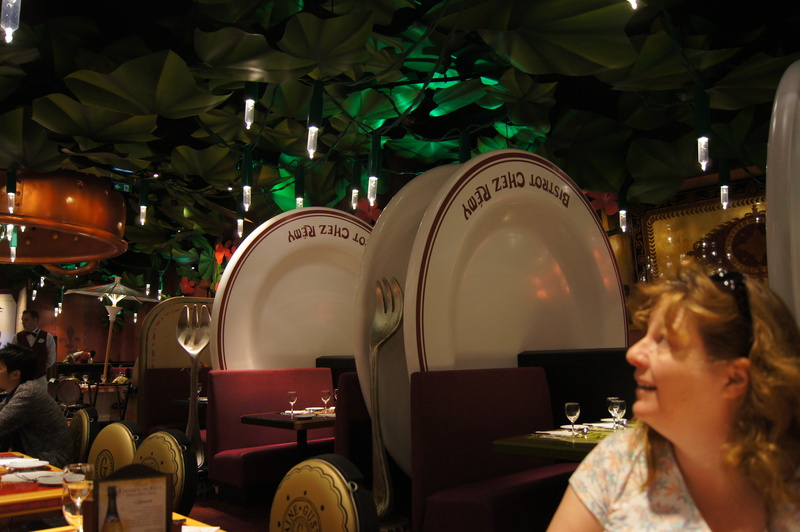 Giant fairy lights, corkscrew chairs, cocktail umbrella parasols and giant tableware match the setting from the film so perfectly, and if you’re sat near the big glass window, you can watch guests on the adjoining Ratatouille ride! Needless to say, the food was divine, but you’d expect nothing less from a great chef like Remy! 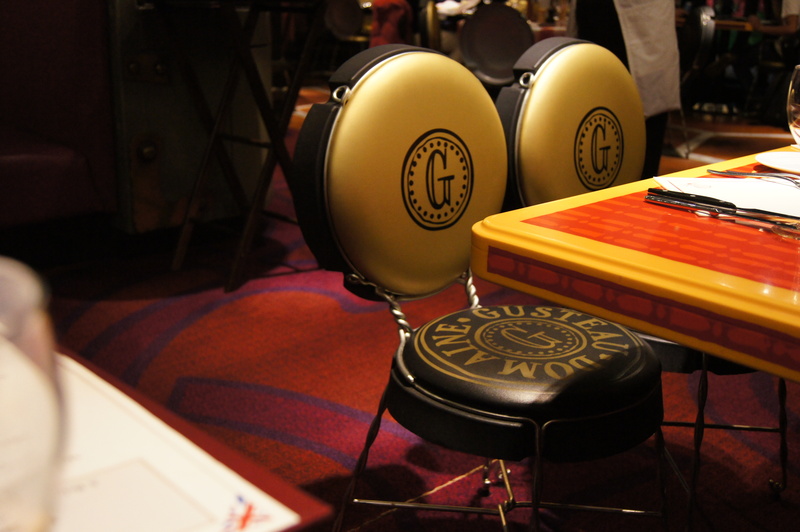 With our dining plan, we could choose from a set menu of delicious options. The starter was a nice leafy salad, with cheese (of course) and beetroot. I asked for mine without the chef’s dressing, but our waiter was nice enough to bring some balsamic dressing for me instead. Our waiter was so lovely, it really made the meal memorable! 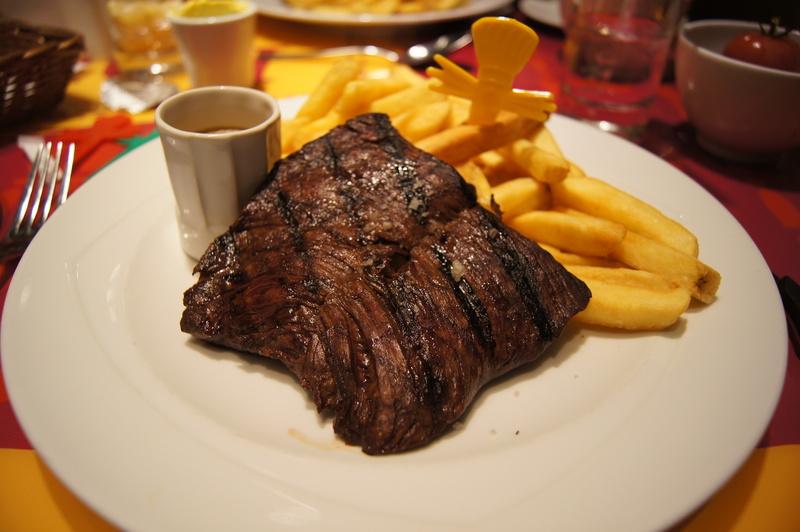 For main, I couldn’t not have the steak! 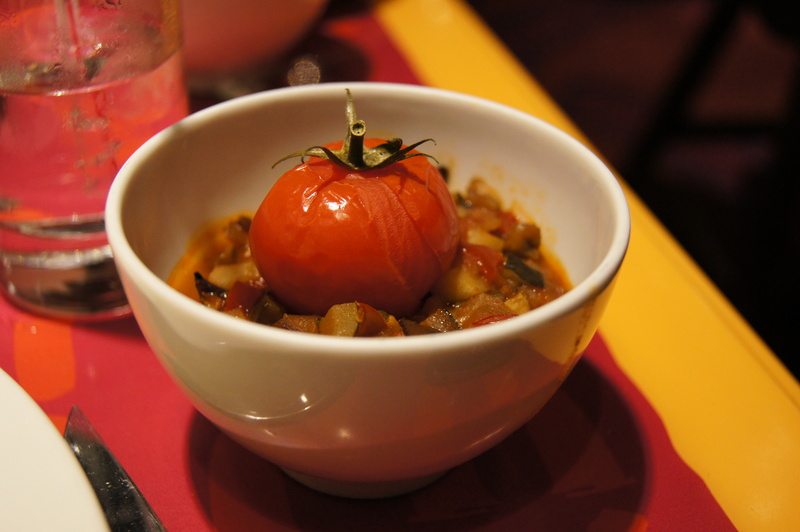 It came with a good helping of chips, and a small bowl of the signature ratatouille – well would you expect anything else? Dad, Hannah and I all had steak, all cooked differently, and all of them were perfect, which really says something about the skill of the chefs. Dessert for me was a chocolate fondant, with a perfect gooey centre and vanilla cream. 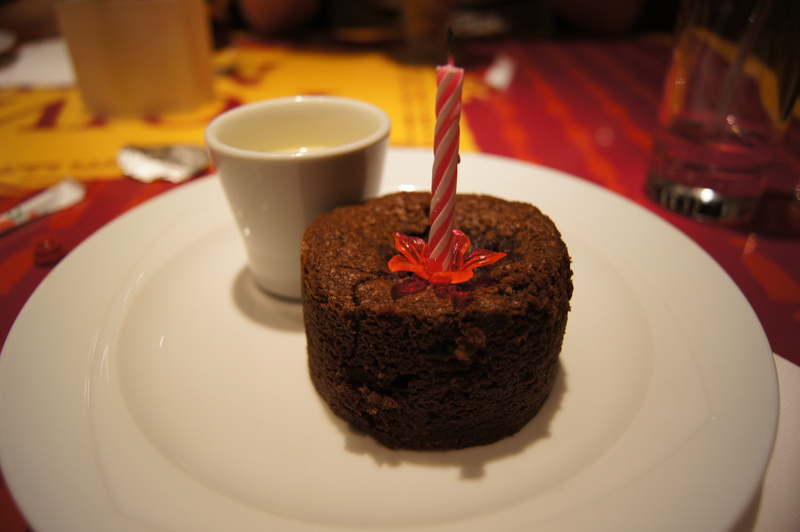 The waiter brought it out with a candle and sang happy birthday, which made it even more special! As a family, we were blown away by everything about Bistrot Chez Remy, and would recommend it without a doubt! Hats off to the chef!